Situated just miles under the Mason-Dixon Line, Morgantown is the epicenter of some of the best food you can find in the entire state of West Virginia. While it's typically the home of around 30,000 residents, that number doubles when August and September roll around and students from West Virginia University flood back into town. Whether you're looking for late-night eats, fine-dining options, or even sweets, the city that bleeds blue and gold has some of the best grub you can find. So without further ado, here is a breakdown of Morgantown’s 10 best restaurants. “Breakfast all the time!”-- what more could you want? Located on Morgantown’s most notable avenue, Morgan’s High Street Diner serves up your favorite breakfast options 'round the clock. Relive your college days and “Wake N’ Bake” with scrambled eggs and home fries topped with shaved ribeye steak, peppers, onions, and a homemade house cheese sauce or go for the sweeter side of things and get a fluffy Belgian waffle with toppings like strawberries, blueberries, chocolate chips, whipped cream, and even ice cream. You’ll be as happy as Dana Holgorsen after a winning football game. Probably the friendliest restaurant in town, you’re greeted at Ogawa as soon as you walk in the doors. They boast about serving the best sushi in the city, and they’re not wrong. 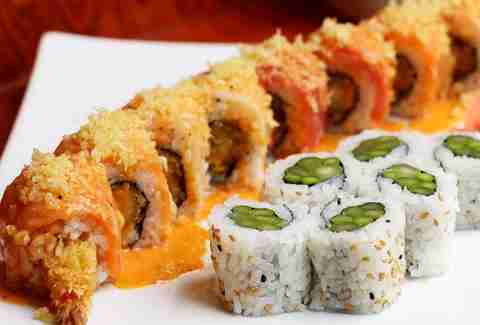 Try a “WVU Roll” -- shrimp tempura topped with salmon, tuna, white fish, crunchies, and a spicy sauce. And if you’re not a sushi-lover, go for one of Ogawa’s mainstay dishes like its spicy ramen or the bulgogi box. Whatever you get, prepared to be beyond full at the end. Anyone who's spent time in the Deep South knows how delectable our fried chicken can be, and Dirty Bird’s signature comfort food rivals any that South Carolina or Georgia could conjure up. The tiny, intimate space is open until they run out of fresh chicken, usually around 5pm, and it's never not crowded. Try the chicken and waffles or a fried chicken box with a side of dirty slaw or mac & cheese, and if you get fries, make sure to ask for garlic mayo on the side. To top it all off, all of Dirty Bird’s chicken is halal. Best known as “the Fishbowl,” this dive bar has been part of the Morgantown community since 1963 when Rose and Mario Spina turned Richwood Avenue Confectionary into a community gem. Beer and other alcohol, like sangria, is served in a frosted “fish bowl” goblet. And all that is wonderful, but what makes this place truly special is its assortment of pinned-up, handwritten notes that paper the walls -- some of them as many as 30 years old. A trip to Morgantown isn’t complete without visiting this place. 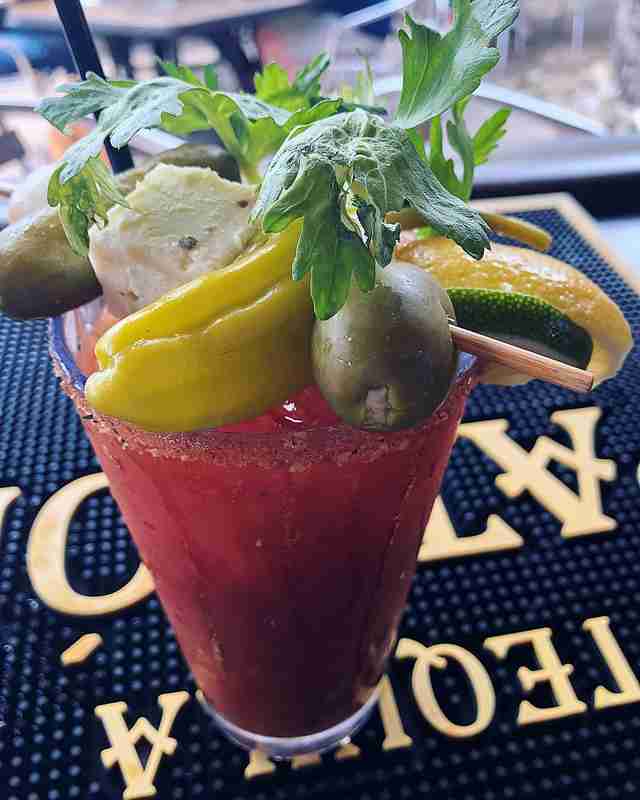 Head over for discounted beer nights on Mondays or Bloody Mary specials on Saturdays. Whatever you do, just don’t forget to leave a note. Another jewel on High Street is Tailpipes. While they’re known for having the best burger in Morgantown, it’s the milkshakes that are something out of sugar-coma dream. With 16 different flavor options, there’s a shake for everyone. Want cereal in your shake? Check. Try Cinnamon Toast Crunch, Fruity Pebbles, or Crunch Berries milkshake. Want cake in your shake? You got it. Order a red velvet or funfetti milkshake! Tailpipes even has a maple bacon-flavored shake for all you pancake lovers out there. The Grind is the perfect local Morgantown spot to get your morning buzz on, as its cozy atmosphere and friendly employees leave Starbucks and Dunkin’ in the dirt. Order a “Milky Joe” -- an iced Americano with real West Virginia maple syrup and a hint of cream, or grab a chai latte and realize it’s one of the best you’ve ever had. If you're a fan of pastries, the muffins and scones are baked fresh every morning. Fresh pasta made daily is all you need to know about Puglioni’s to know it’s delicious. Opened in 1989 by a West Virginia University alumnus, Puglioni’s has been filling Morgantown bellies for years. When you sit down, make sure to ask for “a loaf.” You’ll be served a towering, freshly baked loaf of bread drenched in hot garlic butter. Your mouth is watering, right? For a relatively simple but undoubtedly decadent meal, get the pasta and garlic: your choice of homemade pasta in a creamy butter sauce with fresh garlic. If that doesn't sound like enough, the pasta carbonara, cooked in a cream sauce with grilled ham and bacon, will also leave you stuffed. 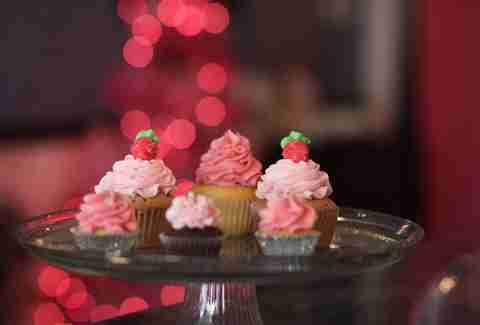 With nine different “collections” of cupcake flavors, The Cupcakerie lists over 70 different flavors it swaps in and out for its 10 to 12 different selections of daily cupcakes. The top sellers like “Red Carpet Red Velvet” and “P’Nutty for Chocolate” are always on the menu; however, each day a few baker’s choice items are added. “Mountain Mamma,” a vanilla cupcake filled with West Virginia apple butter and topped with apple butter buttercream is sure to excite. If you’re feeling extra fun, get a “Peach Margarita” cupcake made with tequila! The best part about The Cupcakerie? It sells both normal-sized and mini cupcakes. 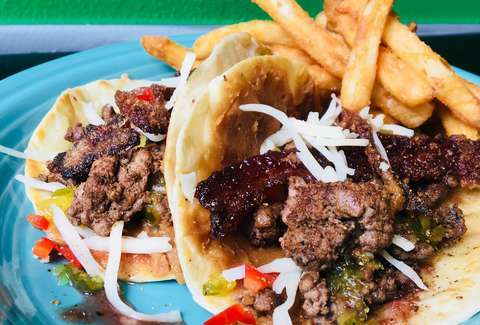 Black Bear Burritos is one of the coolest spots in town for live music and “burritos of all ethnic cuisines.” That means Thai, Jamaican, buffalo wing, and many, many more riffs on the Mexican classic, with delicious chips and queso to boot. (Seriously, their roasted red pepper queso is to die for.) If we had to pick just one burrito, we'd go with the “Mr. Teri Yaki” -- served with your choice of steak, chicken, shrimp, or tofu; loaded with rice, steamed broccoli, carrots, cabbage; and drizzled with sweet teriyaki sauce. Just make sure you go on a night with a live artist so you can drink margaritas and vibe with the music as you chow down. When in West Virginia, you have to eat a pepperoni roll -- our state’s meal of choice. What is a pepperoni roll? At Chico Bakery, it is described as, “a warm, soft, homemade, mouth watering, large roll jam-packed full of zesty, delicious, slices of pepperoni.” Julia’s pepperoni rolls are made in-house at Chico Bakery, and they hold the title of being the "official" pepperoni roll of West Virginia University. You can get these delicious pockets of goodness just about anywhere in the city, and Chico Bakery also happens to be the biggest supplier of pepperoni rolls in the United States. (Over 12,000 a day!) Go to where the magic started and grab yourself a dozen. Jordyn Johnson is a journalism student at West Virginia University and always looking for her next story to write.